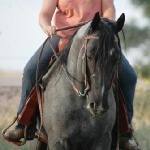 Contact Robin's Nest Farm about our outstanding blue roan and foundation bred Quarter Horses! Have a question or comment for Robin's Nest Farms? We make every effort to address all inquiries in a timely manner, and we welcome your inquiry.